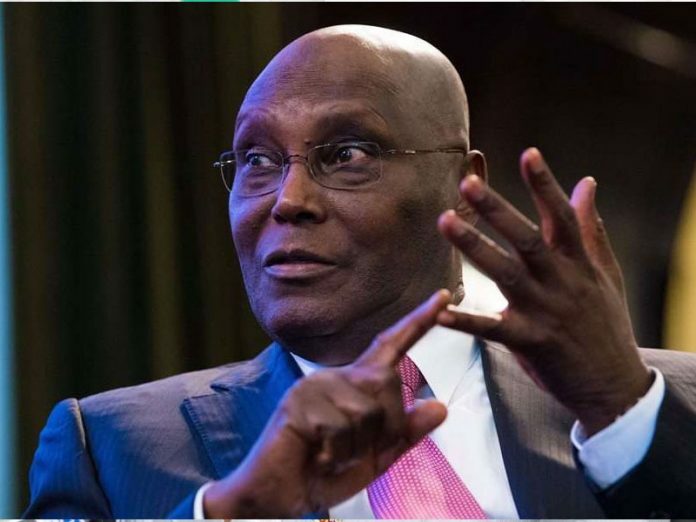 The presidential candidate of the Peoples Democratic Party (PDP), Atiku Abubakar, has responded to a libel suit instituted against him by President Muhammadu Buhari. Atiku, in a counter-claim which he filed in response to the suit, demanded an apology from Buhari for allegedly filing a “frivolous suit” against him. In addition, the former vice-president urged the High Court of the Federal Capital Territory in Abuja to order Buhari to pay a total sum of N1billion damages to be sent to Internally Displaced Persons’ camps and a balance of another N1billion for equipment of libraries and information technology equipment for all state universities in Nigeria. The main suit marked FCT/HC/CV/ 804/2019 was filed by Buhari and Buhari Campaign Organisation against Atiku and his aide, Phrank Shaibu, both of whom are joined as defendants in the suit. Both defendants, however, sought, “An order of this honourable court mandating the plaintiffs (Buhari and BCO) to apologise to the defendants/counter-claimants for filing this frivolous suit against them. The plaintiffs accused the two defendants of making defamatory statements in some national newspapers to the effect that Buhari used his position as Nigerian President to fraudulently acquire two private companies, Keystone Bank Plc and 9Mobile Communications Ltd for himself and family members and friends. The plaintiffs told the court that the defendants also falsely claimed that the President acquired the said companies using his influence and the control he had over the head of parastatals or organisations that were connected with the activities of such companies. But in response, the defendants, through their counsel, Mr. Chukwuma-Machukwu Ume (SAN), filed a statement of defence, a counter-claim and a motion seeking an order of court striking out the name of Buhari Campaign Organisation as the second plaintiff. In their statement of defence, they said the alleged libelous statements were mere “dispassionate expressions of opinions based on true facts”. In their counter-claim, the plaintiffs narrated alleged instances of Buhari’s constitutional breaches, failure to secure life and property.